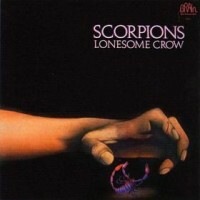 Fans of the MTV Scorpions from the 80’s are in for a shock; Lonesome Crow has no pop hooks, no rocking us like a hurricane, and no cheesy love ballads. The lyrics and melodies are Avant Garde and the instruments are mostly in odd time. Generic hair metal fans of the “Love At First Sting” era will have their heads explode. Find out what staff and customers are listening to at Seattle’s Jive Time Records. Check back regularly as we’ll be updating daily with reviews of our favorite albums, guides to exploring new genres of music, album cover galleries, special offers and more. If you’d like to contribute an album review, contact us for details. Enjoy! © Copyright Jive Time 2019.